The Celtics rebounded from their 96-110 loss against the Brooklyn Nets after topping the Miami Heat on Monday night at home. Future-Hall-of-Fame guard Dwyane Wade led Miami into the TD Garden Monday night for presumably the last time. 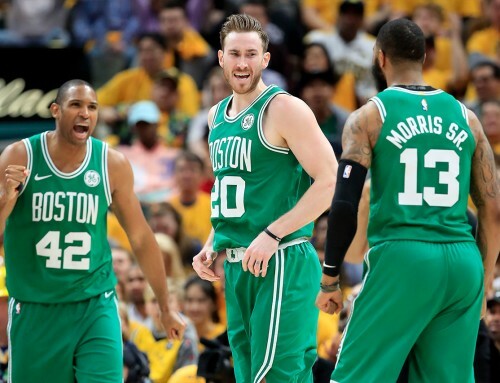 The Celtics have already clinched a playoff berth, but they are fighting for home-court advantage in the first round. 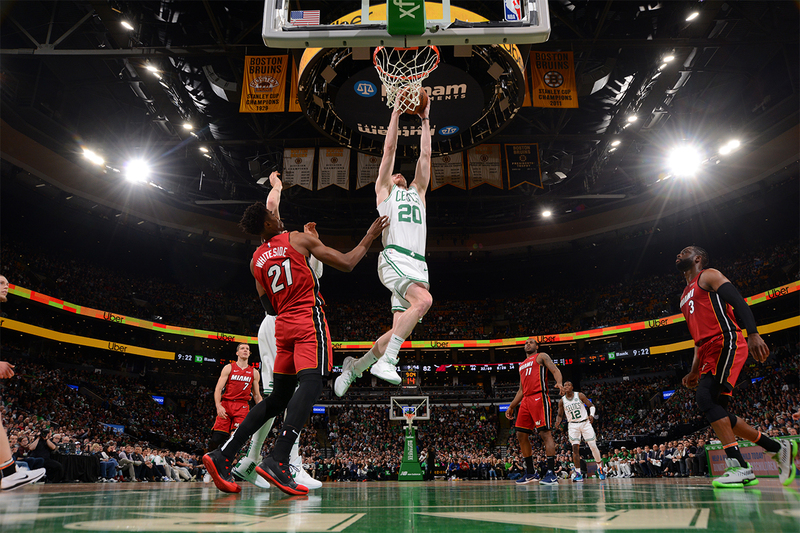 The Heat, who are battling for a playoff spot in the Eastern Conference, put forth a valiant effort, but the Celtics came out with the 110-105 win with a balanced team effort. Celtics guard Marcus Smart made the first basket in the game with a tip shot to begin a hot start for the Celtics. From there, Jayson Tatum, Al Horford and Smart led the Cs to an early 17-4 lead through the first half of the first quarter. Boston’s Kyrie Irving and Gordon Hayward wanted in on the action too. Irving made a 26-foot 3-pointer, followed by a Hayward dunk, and then another Irving 3-pointer. 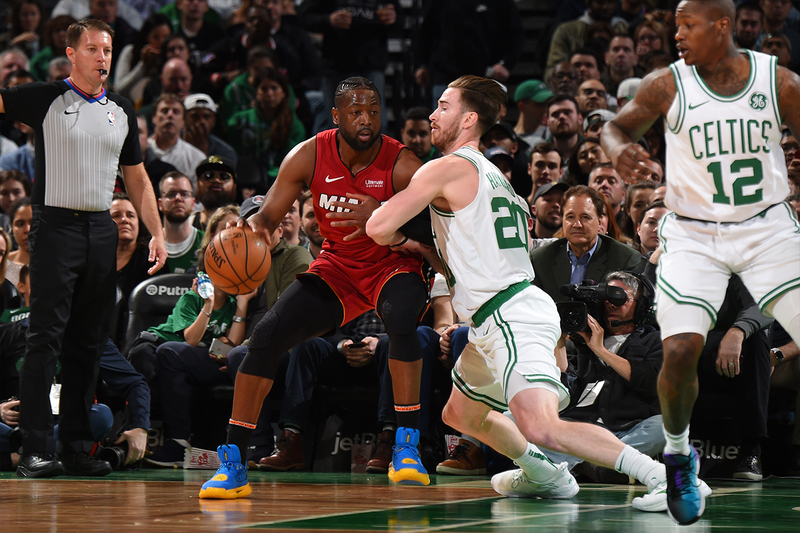 The Heat picked up points here and there, but with three minutes remaining in the first, Hayward made both of his free throws after a Goran Dragic foul, and the Cs closed out the first leading the Heat 36-17. In each of the next three quarters the Heat outscored the Celtics, but just couldn’t pull off what would have been an epic comeback in Wade’s last trip to Boston. Horford scored the first three points for the Cs in the second quarter, followed by a Semi Ojeleye layup. 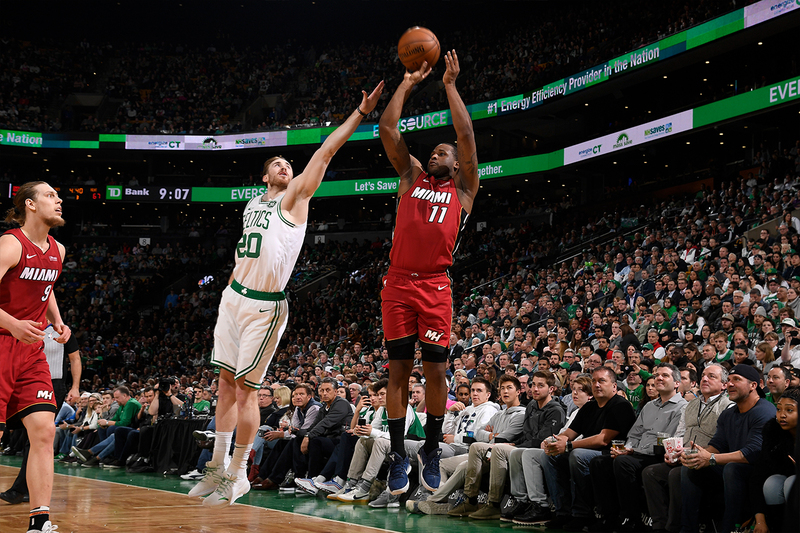 The Cs and Heat traded buckets for much of the second quarter, but it was Dion Waiters who made the half’s last shot with a 23-foot three-point jumper to bring the first half’s score to 61-47 in favor of the Celtics. To begin the second half, Dragic made his first shot taken to help out the Heat with a 3-pointer. Smart came back with a three of his own. Irving then added insult to injury making the game’s next shot, courtesy of an Al Horford assist. Horford had assists on both Celtics’ baskets to start the third quarter. 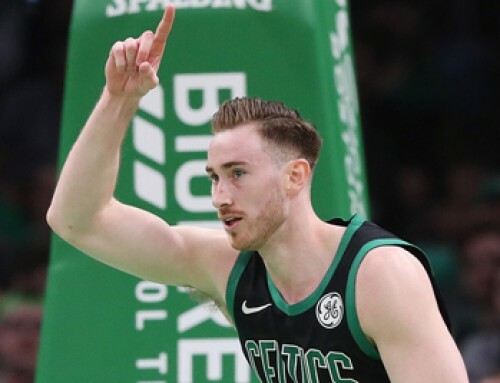 With just five minutes left in the quarter, Hayward made his one 3-pointer of the game off of a pass from Irving. Marcus Morris closed out the frame with a 23-foot step back jumper for three, giving the Celtics a double-digit cushion entering the fourth quarter. D-Wade was on the court to start the fourth and final quarter of play. He made a short jump shot to bring the game within single digits. However, the Cs have an arsenal of weapons throughout their roster, and their depth overwhelmed Miami. 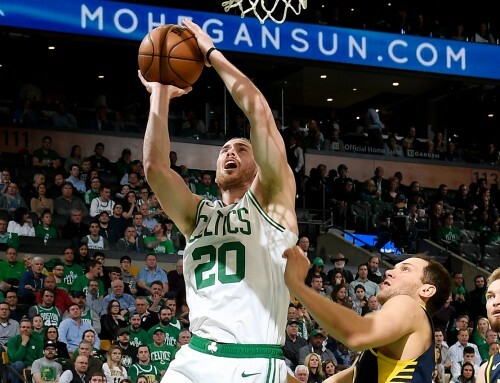 Hayward dished a pass to Tatum following the Wade jumper, where Tatum splashed a 23-footer to get the Cs lead back to double digits. Miami didn’t go down without a fight though. Dragic drained a 24-foot three-point shot immediately following Tatum’s three. 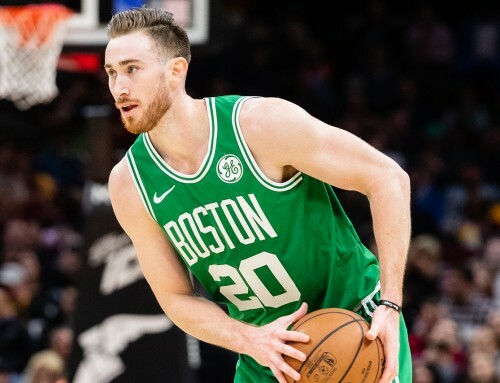 Then, after missed shots on each end, Hayward made a layup taking the score to 93-82 with the Celtics leading. 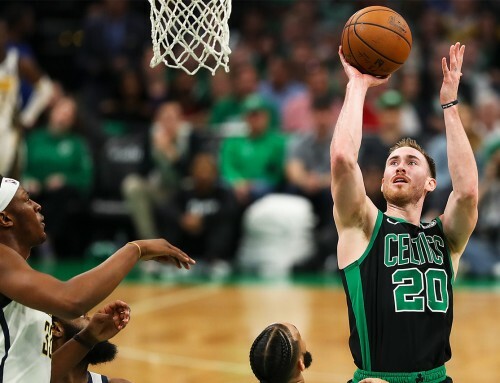 The Heat cut the Boston lead to as little as three, but poised play from the Celtics’ veterans closed out the win in front of the home crows. Irving and Horford finished the game for the Cs making four free throws between them both to secure the 110-105 victory. The Celtics really looked like a playoff contender on Monday, proving that they can finish off close games. Five players scored double digits for the Cs: Irving (25 points), Tatum (19 points), Horford (19 points), Smart (16 points) and G-Time (11 points). Horford had a triple-double for Boston with 19 points, 11 rebounds and 10 assists. Horford led the team in assists, while Irving flirted with a double-double with 25 points and eight rebounds. Next, the Celtics will head down to Miami to play the Heat again in what should be another tough battle on Wednesday. Tipoff in Miami is set for 7:30 p.m. ET on Wednesday and can be found on NBA TV.